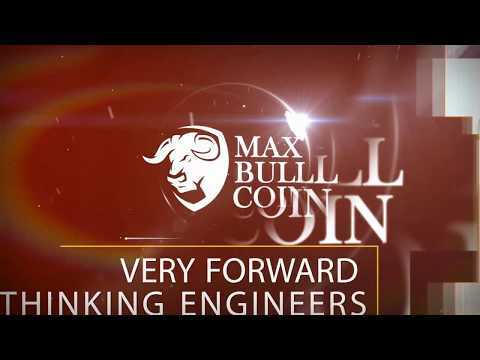 MaxBull coin, an ERC20 token to integrate on exchanges, build a more secure and profitable investment plans, host smart contracts on casinos, investments, and any related block chain technology is in the motive of a safe haven to users, investors and its prospective community. With MaxBull tokens, we aim to enable the user to be able to earn returns in the long run by investing in one single coin rather than investing in multiple cryptocurrencies and hoping for their price to increase. The conventional procedure of fundraising makes it impossible for a “small investor” to invest in early stages of potential start-ups. Due to eithertechnical or another constraint the “big investors” enjoy all the high profits. The blockchain technology now has provided a means to connect those having world-changing ideas directly to those looking for investment opportunities irrespective of the skill and size of the investment. Investing in disruptive technologies at the very early stages is possible. The two approaches are opposed to one being closed market controlled and led by few wealthy people sitting on the sandhillroad and other an open market where anyone can play with gains and risks more evenly distributed. MaxBull tends to solve this old model run by few and cater investors looking for high profits. It will do so by providing a simple to use and time-saving platform. The experienced team of analysts will ensure that the raised funds are invested in most hot and potential opportunities. This is crucial for keeping them investing in the new economy. With your help, MaxBull Coinwill bring an influx of fresh capital into the distributed economy, providing funding for exciting new opportunities in Trading in crypto-currencies and ICO. The decentralization effects of blockchain-based cryptocurrencies are hitting the venture capital industry in more ways than one. Whereas the traditional venture capital industry is boring, the crypto-tech sector has become more exciting. launching of Bitcoin & Ethereum Based Casinos & Related Apps.